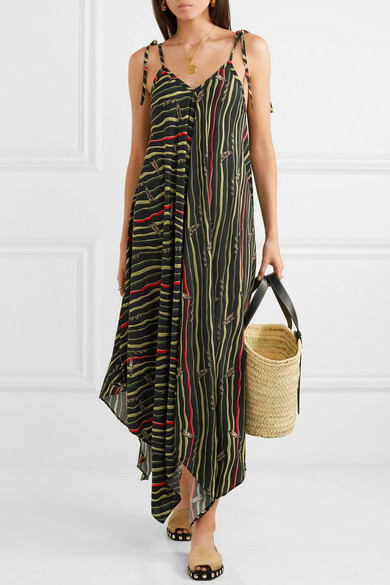 It was during trips to Ibiza as a child that Jonathan Anderson first discovered the glamorous spirit of Paula's boutique – in the '70s, it was a cult destination for stars like Donna Summer. 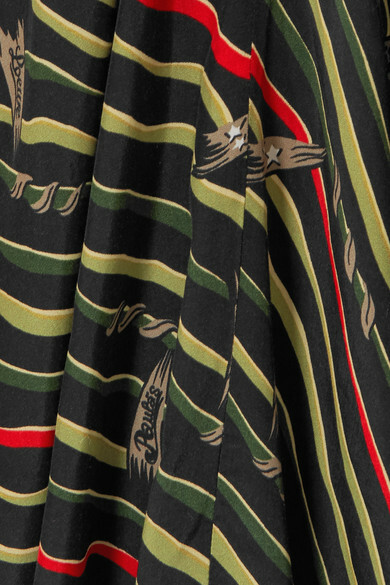 Part of Loewe's recent collaboration with the legendary store, this maxi dress is cut from crepe and features an archival 'waving flag' pattern hand-selected by the designer. 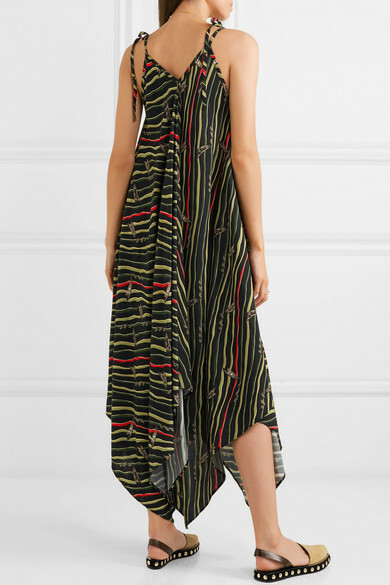 It has self-tie straps and floats away from the body to a fluid handkerchief hem. Shown here with: Loewe Tote, Loewe Espadrilles, Alighieri Necklace, Alighieri Necklace, Alighieri Earrings, Elizabeth and James Rings, Loren Stewart Necklace.